If you want to start the Star Wars series , start with the first one. 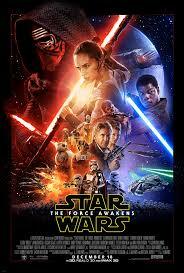 Because as a first timer seeing any Star Wars movie, all the hype around the episode VII seemed exaggerated to me. 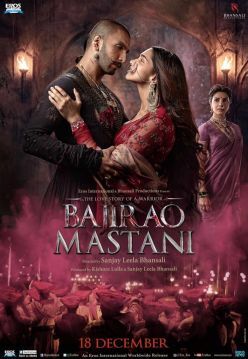 Sanjay Leela Bhansali is a skillful painter, who paints a beautiful picture on a huge canvas layered with characters, poetry, colors, emotions, & the wow-factor. You are spellbound by the vision of this man of what he brings in each frame. Never thought would give a Salman Khan movie a 4.5 !! But he deserves all the plaudits, awards and monetary awards for this beautiful movie. Bajrangi Bhaijaan is contrary to what people expected from a Salman Khan movie releasing this Eid. Treat this is as a standalone movie, and you will enjoy one of the best entertainers of 2015. Funny one liners, with terrific acting makes it a must watch movie. The Wolverine is James Mangold finest work after a stupid blunder called Knight & Day.You will invariably draw comparisons with X-Men : Wolverine (2009), & will rate this movie a tad below than its predecessor but stand alone this movie is worth watching. Information is priceless & DIMOTRA is an avenue to distribute this wealth of information in the world. From Dining to Movies to Travels ,DIMOTRA provides a different vantage point. My passion for writing got left behind from other priorities in life and DIMOTRA is an outlet to pursue a Passion - "The Love of Writing.."
Its his Family & Work in Hong Kong is what keeps him literally grounded & sane.